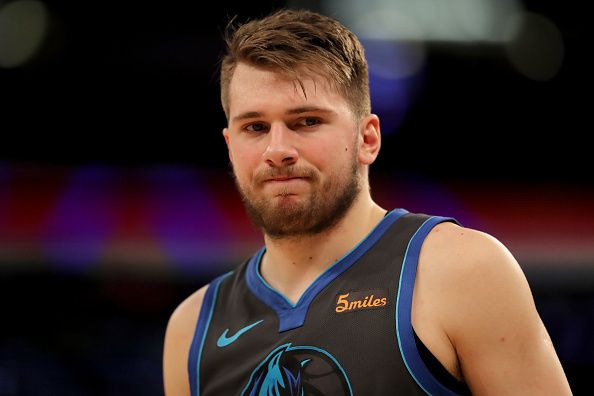 Luka Doncic is a boniefied star in the NBA and anybody with two working eyes can see that he’ll be here for years to come. The Dallas Mavericks rookie is easily the front-runner to take home the rookie of the year trophy, but that seems rather tame to a man who took home multiple MVP awards and championships overseas. Just recently, Luka compared scoring in the NBA to scoring in Europe, and he pretty much took a huge dump on the difficulty level in the states as compared to being back home. Luka has somewhat of a point, even though the talent pool is much greater in the states than in Eurpoe. Professional b-ball courts in Europe are measured at 91.9 by 49.2 feet as opposed to the NBA’s 94 by 50 feet. Doncic also referenced the 3-second rule that forces players to stay out of the paint in the states, but no such rule exists in Europe. The 19-year-old averaged 14.5 points, 4.8 rebounds, and 4.3 assists with Real Madrid, and he is currently putting up 20.6 points, seven rebounds, and 5.5 assists during his rookie campaign.